Every sugar cookie recipe I have read says “refrigerate for at least 4 hours.” I always hated that. When I want to make cookies, I want to do them now! I don’t have time to wait for refrigeration. The kids didn’t want to wait for those delicious cookies either. So, when I found this sugar cookie recipe I was so excited. No refrigeration! They also taste delicious. I make these sugar cookies for every holiday. Halloween pumpkins, Thanksgiving turkeys, Easter bunnies, Back to School ABC’s and Christmas wreaths. 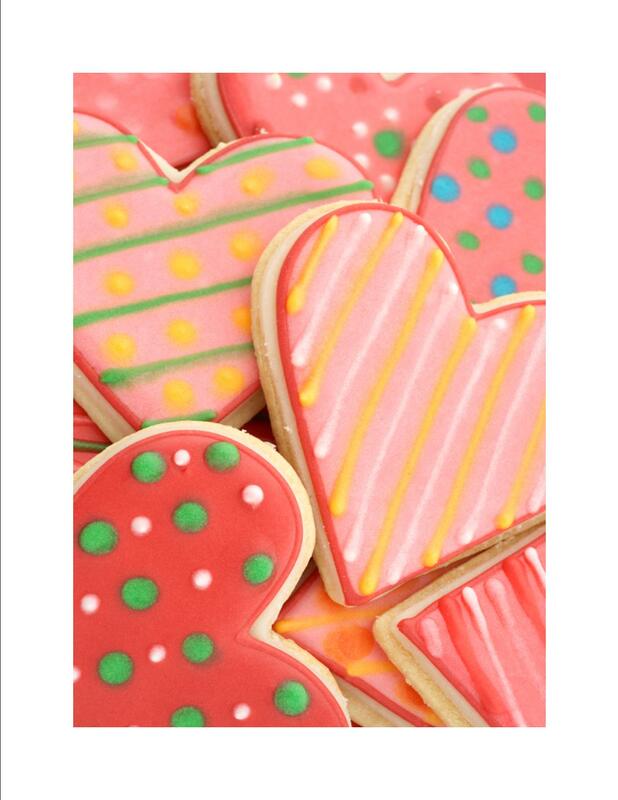 However, my favorite sugar cookie holiday is Valentine’s Day. I love the hearts! I love the pink frosting! I love the little candy hearts with sweet sayings for decorations! And I love sharing them with friends! Even though this recipe calls for butter or margarine, use butter. Butter makes sugar cookies taste so much better! This is a simple, fun recipe that you will really enjoy making and eating. I usually roll the cookies out a little thicker too for a softer, moister cookie. Enjoy making these cookies with your kids for Valentine’s Day. Preheat oven to 400 degrees. Cream butter and sugar together in your KitchenAid Mixer, add eggs and vanilla. Add baking powder and flour one cup at a time, mixing well. The dough will be very stiff. Do not chill. Roll to 1/8 inch thick and dip cutters in flour before each use. Place on a Nordic-Ware Baking Cookie Sheet and bake 4 to 6 minutes or until lightly browned. Remove from baking tray and cool on cooling rack. Frost and decorate. Enjoy! Yummy! Thanks for the recipe. I just remembered that every Valentine’s Day I make sugar cookies. These will be perfect. I love your blog. This recipe makes about 2 dozen cookies depending upon the size of your cookie cutter. I usually always double the recipe. I think your blog is awesome. I found it on Yahoo. I will definately be back. Are they soft sugar cookies? Yes they are soft. The secret is to roll them out thicker and then bake for the least amount of time.